Get well soon, MoviePass! The subscription service that lets you watch an unlimited amount of movies in theaters for $10 a month has not been feeling so hot lately—which spells the end of a very cool dream for its two million and counting subscribers. MoviePass’s parent company’s stock prices have tumbled, threatening its ability to be listed by the Nasdaq at all. 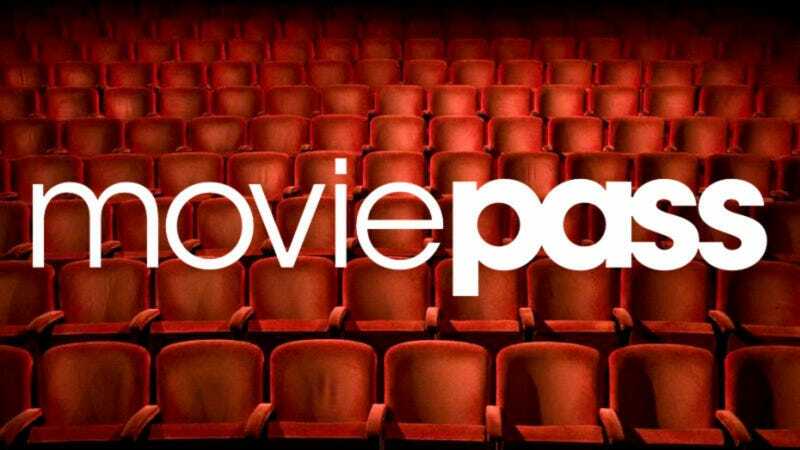 What’s worse and more relevant to consumers is that on Monday, MoviePass CEO Mitch Lowe told staff that two new releases—Christopher Robbin and The Meg—would not be available to subscribers right away, according to an anonymous source who spoke to Business Insider. Customers got a taste of that last weekend, when the MoviePass app broke down and users reported not being able to see Mission: Impossible - Fallout, which we hear is very good. Update (12:35 p.m.): Well, well, well—MoviePass has announced it’s raising its unlimited monthly subscription from $9.99 to $14.95 within the next 30 days, which still strikes me as a good deal. The company is also limiting access to “new movies that are released in at least 1,000 theaters for the first two weeks,” according to CNBC, which strikes me as less of a good deal. It looks like MoviePass will not go gentle into the night. Godspeed.